At Pacific Home Furniture, we know how valuable good storage solutions are in any home and it seems they’re at a premium in cottage and coastal homes where square footage is sometimes limited. 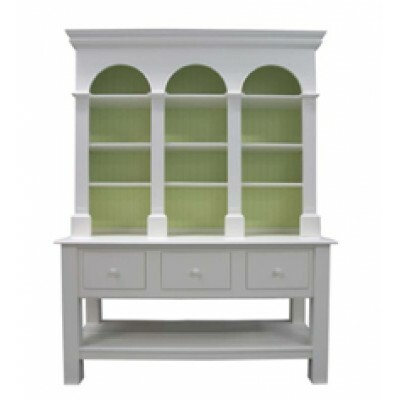 Builders are notorious for not thinking about storage – at least fully considering all the storage needs of a family and so we believe it is helpful to make your furniture function well for you. 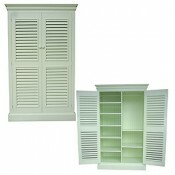 Our storage pieces offer specific solutions to those needs and are perfect for any room of your coastal home. You’ll love the flexibility of design and the functionality of these pieces. 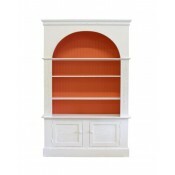 We offer quality products, many bench-built to order and custom finished to your exact color scheme. Don't be afraid of the bold colors. 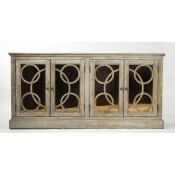 That is what true coastal, cottage furniture is all about. 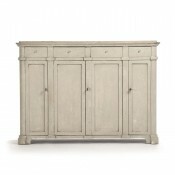 Whether it’s a buffet and hutch for the eat in kitchen or a cabinet and cupboard for the dining room to hold china and serving pieces, you’ll find storage furniture that works for your space. We’ve got entertainment centers to house the television in the family room, bedrooms and playrooms. Think outside the box. 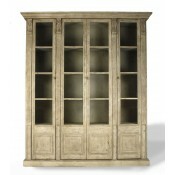 An armoire can also function as a great entertainment, media center as well as the traditional use for clothes or linens. Our bookcases will go absolutely anywhere. Add one to the kitchen to store cookbooks and serving pieces. Use them in the family room or bedrooms to hold all the beach reads and games that will accumulate, but of course accessorize them as well to make them super pretty with all your nautical decor. 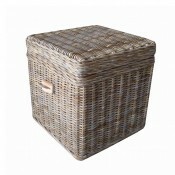 Don’t forget to look at our collection of chests and drawers. 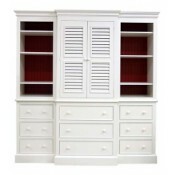 Obviously they’re great for the bedroom and storing clothes but consider them in other areas of the home as well. You can use a chest in the family room as an end table or in an entryway. You can tuck in games, throws, and all kinds of things you need to stash away to keep your space neat and tidy.